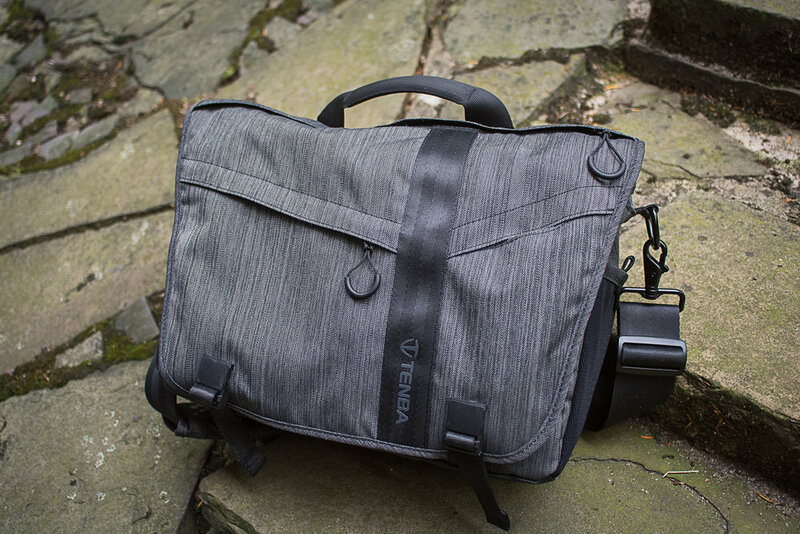 I've long been looking for a properly sized messenger bag that can handle my DSLRs and 13" MacBook Pro. I find dimensions to be a critical point when looking at single strap bag, and many are too large, and some too small. When I saw that the Tenba DNA 13 was billed as being built around the devices I use specifically, I had to give it run. I'm happy to report that the dimensions are brilliant! I usually only run the laptop or the DSLRs for weight reasons, but I can fit all of it in there at one time. This is the only messenger bag I will keep around for the foreseeable future. 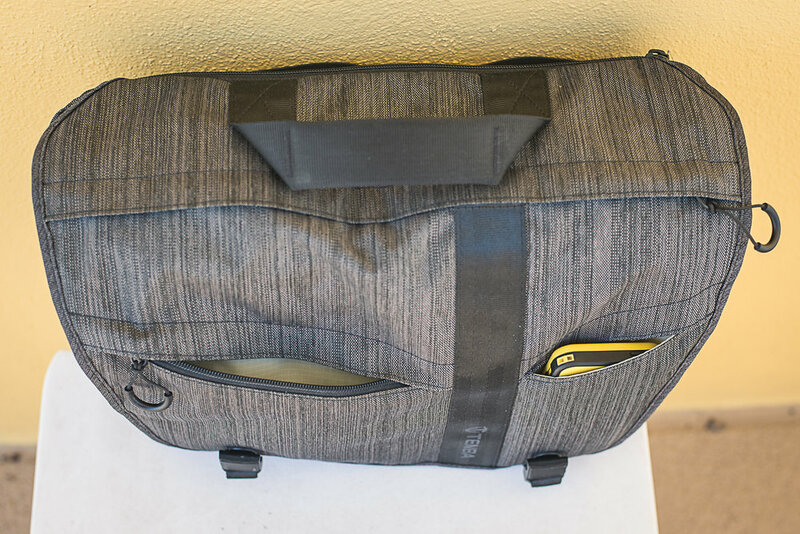 This is a fairly basic messenger bag that includes a removable padded camera insert. 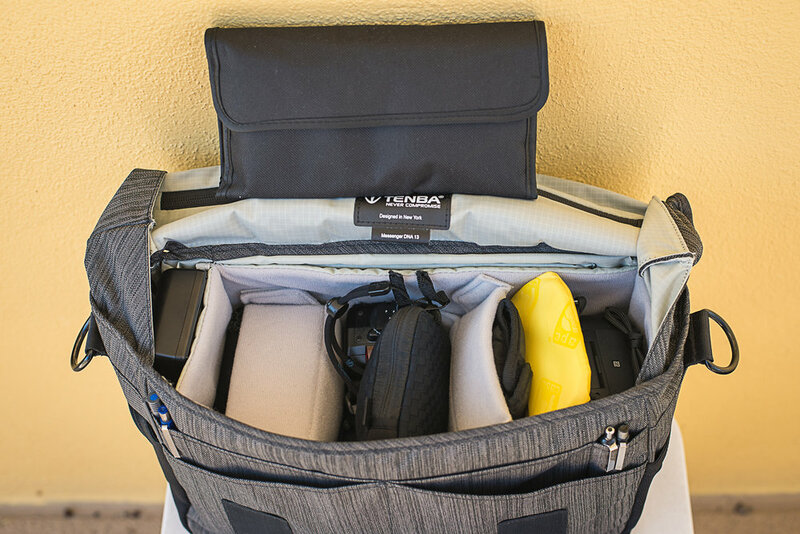 There are some features that could be improved, but as I move more to backpacks for EDC, this bag serves great in the grab and go role when just jumping in the car or when out afoot with the pram (a,k.a. buggy, stroller, etc.). The materials and construction appear good to and this bag looks like it will last. If your kit is similar to mine, check these out at Amazon. The two pockets on the front flap. 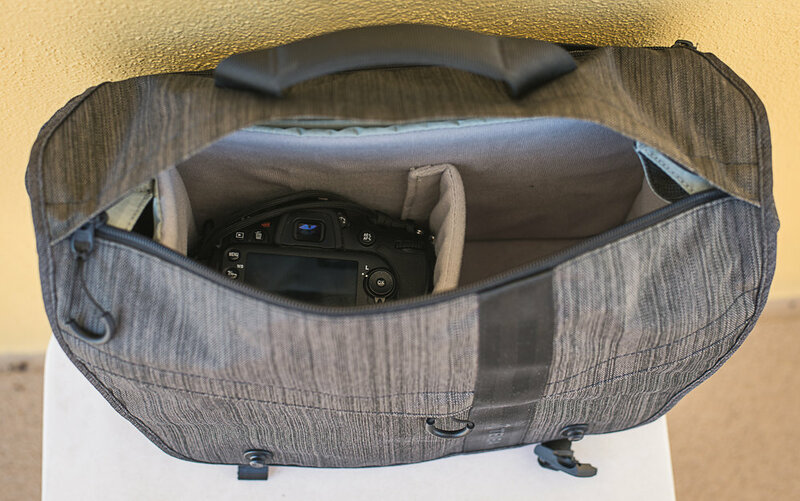 The flap has a zipper to access the main compartment. Getting my D600 through there is no problem. Some simple slip pockets under the front flap. There are 2x pen slots, and 4x wider pockets. The flap uses magnetic buckles on the flap. These are cool at first, but I seem to be skilled at bumping them on things and releasing them inadvertently. This would be a big problem, but the redundancy of the hook and look closure keeps me satisfied. You can also see the special hook here, which is silent releasing when the flap is pulled down while opening. I was skeptical, but it's cool stuff. 13" MacBook Pro in a plastic snap on case fits perfect. The zipper pocket in the front is a large slip pocket. A more typical loadout of my D600 and D7200 with primes attached. The removable insert with 2 slip pockets on this one side. 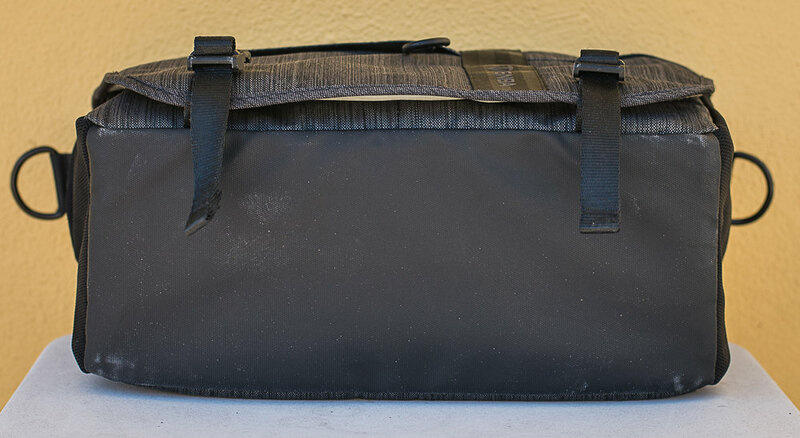 The rear of the pack with roller bag attachment strap and stabilizer strap (included, not shown) attachment points. Looking into the rear flat pocket. This has the same slots as the internal admin area. Stretch mesh side pockets well suited to 20oz bottles. The black side of the included rain cover. The reflective side of the rain cover.